Amanda joined the practice in 1997 and was also one of the first wave of modern and highly trained qualified veterinary nurses. Amanda has had a huge influence on the quality and exceptional standards of nursing in the hospital. She is responsible for managing the complexities of the nurse rota, the technical demands of the practice laboratory, as well as her regular nursing duties. Her great interest is in inpatient care and nurse clinics, the development of which she has played an integral role in. Much of her time outside work is taken up by the needs of her Springer Spaniel and her love of softball, in which she represents CPA Pirates and Jersey. Bobbie graduated from Harper Adams University with a degree in Veterinary Nursing and Practice Management in 2017. She completed her practical training of her degree at New Era and has a keen interest in chemotherapy. In her spare time Bobbie enjoys playing rugby for the Jersey Reds Ladies. Carly joined New Era in 2010 and has since trained here and qualified as a Registered Veterinary Nurse in 2014. She then went on to achieve the City & Guilds diploma in Nursing of Exotic Species & British Wildlife. Carly has a very keen interest in all animals, especially exotics such as small mammals, birds, reptiles and all wildlife. Her own pets include one dog, two cats, two rabbits, 12 mice, 3 giant African land snails and 3 goldfish! Donna has worked for the practice since 1996 and went to college in 2002/03 and qualified as a Veterinary Nurse in 2004. She has two cats – Ash and Coal – and lots of tropical fish. She got married in 2015 to Danny, has two daughters called Jaime and Ellie. Georgia is a long standing member of the team, and for a large portion of that time has been one of the night nurses at New Era. She has the City & Guilds Certificate in Nursing Exotic Species and British Wildlife. Outside of work Georgia is very keen on dog agility and is a familiar face around the island and internationally on the agility circuit. She has three dogs: Obi, Hero and Bea. Registered Veterinary Nurse Jane joined New Era in March 2015 and qualified as an RVN in 2017. Outside of work she hangs out with her dog Ben and enjoys watersports – she competes internationally in prone paddleboarding. Jasmine joined the team in March 2015 as a kennel assistant and qualified as a veterinary nurse in 2018. She has a very keen interest in exotics, small mammals and wildlife and hopes to do some further education in nursing these species. She has wide variety of pets including snakes, rodents and fish and enjoys and is a keen gamer and photographer. Jenny qualified in 2009 in the same class as Olivia Noble. After working at a local vets in Doncaster she decided to flee the nest and move to Jersey. She has been at New Era since 2014 and is enjoying being part of such a big team. Jim Graduated in 2010 from the pet health education collage in London, originally from Oxford he moved to the island with his dog Trixie. Jim has spent a year in Australia working in a specialist accident and emergency centre and really enjoys that aspect of his work. He is heavily involved with arranging the quarterly visit of the MRI lorry to the island which keeps him very busy. He is also a keen drummer and member of practice band Wrong Direction! Kerry is a prime example of an individual who has worked her way up from the ‘shop floor,’ having joined the practice as a kennel maid in 1990. 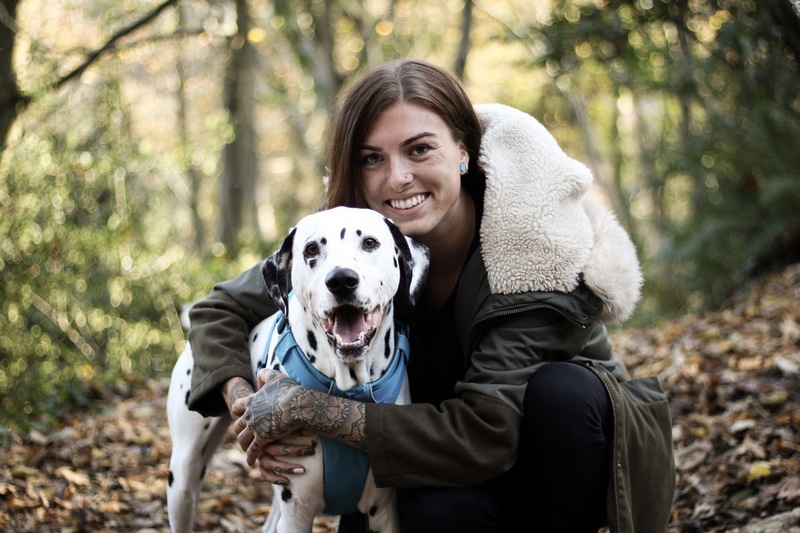 Always passionate about the comfort and wellbeing of the pets that came under her care, Kerry built on her practical experience, grafting through coursework, college and examinations. She led the way in taking the role of the veterinary nurse to the forefront of modern veterinary practice. When Kerry began her career, there was one qualified veterinary nurse in the practice; there are now thirteen, with six more currently training. Louisa Bouchard RVN, CertVNES, Cert VNECC. Deputy Head Nurse. Louisa is a registered veterinary nurse who qualified in 2003. She is also an A1 assessor and clinical coach, and has achieved the City & Guilds Certificate in Nursing Exotic Species and British Wildlife. She particularly enjoys anaesthesia and critical care, nursing exotic species and rehabilitation. In her spare time, Louisa enjoys looking after all her animals (dogs, cats, tortoises, chickens, quail and foreign finches) and wildlife photography. Olivia joined New Era in 2013 and is enjoying the warmer climate of Jersey compared to her native Yorkshire and her previous practice, a Veterinary Hospital in Sweden. She particularly enjoys holding nurse clinics for weight management and being part of the surgery team. Outside of work she a member of a roller derby team the ‘Jersey Royal Rollers’ and is also the bass guitarist in practice band ‘Wrong Direction! She has one cat called Germaine. Rebecca joined the practice in January 2001 and qualified as a veterinary nurse in 2006. She did her training at Myerscough college. In work Rebecca’s main interests include orthopaedic surgery, diagnostic imaging and training student nurses. Outside of work Rebecca is kept very busy by her active 5 year old son James. She lives on her family’s dairy farm and is often involved in helping with the various large animals on the farm. Rebecca has a dog, 3 cats and a horse. Student nurse Robin already had some experience as an animal care assistant when she joined the team. She has now started her Diploma in Veterinary Nursing in order to qualify as an RVN. Robin really enjoys working with wildlife, including the many hedgehogs and bats that we see, and would like to learn more about nursing these special creatures. 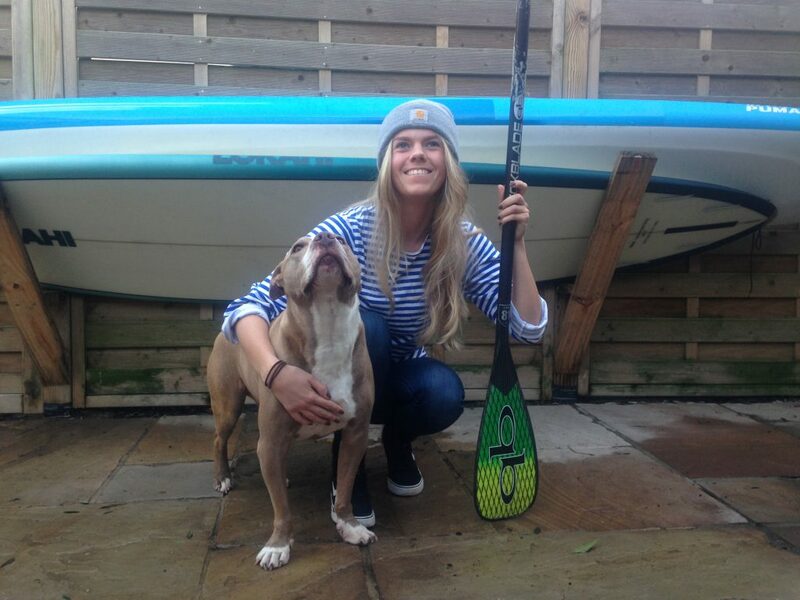 Outside of work she competes internationally in paddleboard racing and she has a cheeky Staffy called Barney. Veterinary Care Assistant Jenna was born and raised in Jersey. She joined the team in 2017 and hopes to start her training next September to become a Registered Veterinary Nurse. Out of work she spends most of her time with handsome Oscar the Dalmatian but she is also a keen horse rider, spending weekends competing showjumping and taking part in the local drag hunts over winter.